Where can I store my luggage in Montreal? Need to store your bags while visiting Montreal? Whether you’ve just landed into Pierre Elliot Trudeau Airport or just checked out of your Airbnb – you probably asked yourself “Where can I store my luggage near me?”. There is so much to do in this wonderful city – you’ll definitely want to be hands-free! Worry not, from luggage lockers to manned left luggage offices, we have made a list of all luggage storage options available in Montreal, keep reading for more info and tips. Stasher is a network of hundreds of local hotels and businesses (called StashPoints) that offer secure, convenient and affordable luggage storage spaces, with no size restrictions. Your peace of mind is our top priority, so every item you store is fully insured, and all businesses are required to uphold high-security standards before joining our network. We have StashPoints near all transport hubs and tourist attractions. Never change your plans because of a bag! You can store your bags for a few hours or a couple of days. How much does it cost to store your luggage in Montreal? It’s only CA$8.00 per day, and CA$7.00 for any additional day! Where are the StashPoints for my luggage in Montreal? Our StashPoints are located near all the city’s points of interest and lively neighbourhoods like the Chinatown, Old Montreal and the Quartier des Spectacles. Whether you are planning to hike up Mont Royal, discover the most instagrammable places in Montreal, or experience the excellent cuisine in ChinaTown, Stasher has a convenient location nearby where you can store your luggage so you are free to explore. You can also read our comprehensive guide about things to do in Montreal! We understand your need for flexibility, that is why most locations are open 24/7 or until late. However, we recommend double-checking before making a booking. The 24/7 opening hours mean that even if you are getting a late night flight or middle of the night bus, you can leave your luggage until right when you have to depart. You can easily find luggage storage in Montreal with Stasher! Show up at the StashPoint you selected, drop off your bags, and you’re good to go! In less than three minutes, you’ve made your day simpler, and you are now ready to explore all that Montreal has to offer! Where can I find luggage storage near Montreal train station? Museum of Fine Arts Cafe and Coworking Space, located just a short walk away from Montreal train station and open daily 10am - 10pm. Allo Velo Boutique Cafe, located in Griffintown and open 9am - 6pm during the week and 10am - 5pm Saturdays and Sundays. Opening hours vary, we recommend checking online before making a booking. CA$8.00 per day, and CA$7.00 for any additional day. The opening hours to obtain AMTRAK Tickets are Monday to Sunday, from 7am to 5pm. Central Station is the second-busiest Via Rail station in Canada, after Toronto Union Station. Where can I find luggage storage near Berri UQAM Station? Berri-UQAM Station Hotel, conveniently located near the metro station and Montreal Old Port. Open 24/7, 7 days a week. Open 24/7, 7 days a week. Berri-UQAM Station is the central and busiest Metro station in Montreal, located in the Quartier Latin neighbourhood. the Université du Québec à Montréal which is right across the street. Where can I find luggage storage near Montreal Bus station? 10am - 8pm, 7 days a week. Head here for more info. Gare d’autocars de Montreal is the departure and arrival point for most inter-city buses. Buses connect Montreal with many cities, mostly in Quebec, Ontario, and New York state. The station is connected to the Montreal Metro system at the Berri-UQAM Station. Where can I find luggage storage near Mount Royal? The city is named after Mount Royal, the triple-peaked hill in the heart of Montreal that rises to 764 feet above sea level. Mount Royal Park, located on the city’s namesake hill, was designed by Frederick Law Olmsted, who also was a co-designer of New York City’s Central Park. If you’re planning on heading to Mount Royal, the official website of the area can help you plan your day with useful travel tips and footpaths. Where can I find luggage storage near the Old Montreal port? You can easily hire bicycles, Segways as well as rollerblades. In 2012, an urban beach was opened near the Clock Tower. There are some alternative luggage storage options around Montreal, but they are quite limited. There are no lockers available in Montreal Central Station since 1984. However, there is a baggage room available if you have a ticker for an upcoming travel. Bear in mind that the train station does not offer luggage storage facilities unless you have à valid train ticket for that day! If you’re in Montreal for short layover and want to head into town, Montreal International Aiport has a luggage storage facility located in the Arrivals area, next to security. No left-luggage lockers are available because of security concerns. Montreal bus station has s baggage room with lockers for rent. Please note that the use of the lockers is reserved for clients with a valid proof of travel, (an outbound ticket or a receipt of an arriving ticket). There is a luggage storage facility available at the Montreal port. Similarly to the train station, you need to have booked a ticket in order to use the services. Montreal was originally called Ville-Marie or “City of Mary”, and its heart beats to the triple peaks of Mount Royal, from which Montreal takes its present-day name. Montreal is one of Canada’s most culturally diverse cities, with a predominantly French-speaking population and a history that is still visible throughout the Old Town’s cobbled streets. Surrounded by small islands, there are more than 50 historic Canadian national sites found within its borders. 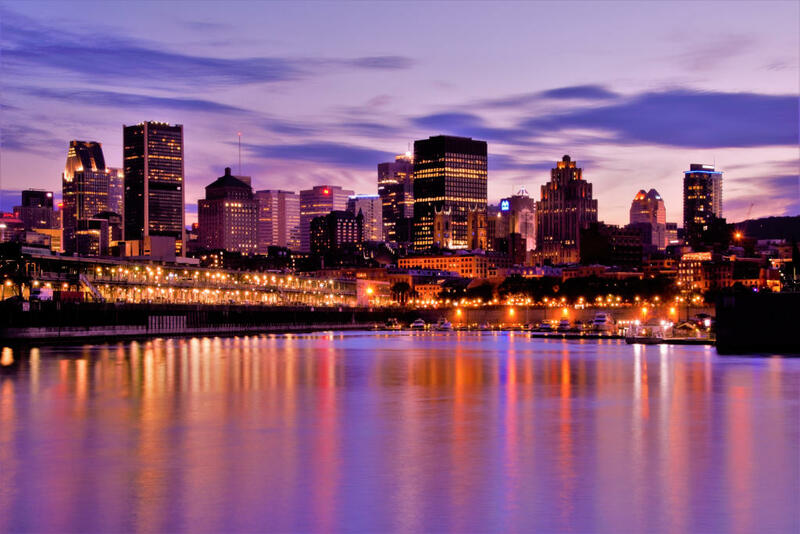 Canada’s cultural capital hosts the world-famous Montreal Jazz and Just for Laughs festivals, and is also noted for its many churches, which have inspired the likes of famed writer Mark Twain.